Sleeping With or Without a Pillow - Which Is Better? Should you try sleeping without a pillow? 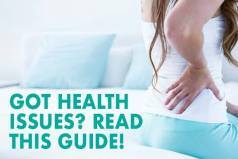 If you’ve been waking up with neck pain, you may be wondering this. There are many articles online that explain why you should avoid using the pillows. Should you believe them? We tend to forget about the major impact pillows have on our sleep. 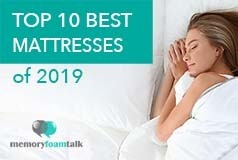 We put a lot of effort and research into finding the best mattress for our sleep needs (click here and pick the best mattress for your sleeping style), as well as replacing them every 7 – 8 years, while ignoring our pillow needs. As a result, our pillows are too old and no longer supportive, or we might end up with pillows that are wrong for our sleeping position. So, if you have an excellent mattress and still have trouble sleeping, you might blame your pillow. As you sleep, pillows, along with your mattress, play an important role in supporting healthy spinal alignment. The important question is not whether you should sleep without a pillow, but based on your sleeping position, whether or not you should sleep without a pillow. The question if not using the pillow will help or hurt you, as well as what kind of pillow you should use, is largely dictated by your sleep position. Should Back Sleepers Sleep Without a Pillow? When back sleepers sleep on an innerspring or firm mattress, small gaps naturally develop between the neck and mattress, as well as the lower back and mattress. Contouring and memory foam mattresses allow the hips to sink deep down in the mattress while the memory foam hugs the lower back; therefore, addressing the space between the lower spine. However, there’s still space between the neck and the mattress that has not been addressed. A pillow that is too thick will tilt the head forward and the chin into the chest in an uncomfortable position. Sleeping without it creates the opposite effect, leaving an uncomfortable space as the back sleeper’s head sinks down into the mattress. To keep the neck level with the rest of their spine, back sleepers need a thin, contouring pillow that fills the space as needed. Pillows with built-in neck support and divots for the head, rounded pillows that support the neck and cervical pillows are all good options. A small pillow beneath the knees or a thin pillow beneath the lumbar spine can provide additional relief on strain of the lower back. Conclusion: Back sleepers should NOT sleep without a pillow, unless they suffer from lower back pain and sleep on a firm mattress with very little contour. However, they may find it better to have a more contouring mattress with a thin pillow. Should Side Sleepers Sleep Without a Pillow? Side sleeping is generally considered to be the healthiest sleep position, but without proper pillow support none of that matters. To keep side sleepers spine straight from the hips to the head while they sleep, they need a pillow that works in conjunction with their mattress. A contouring mattress allows a side sleeper’s pressure points to sink into the mattress. Without a pillow, however, the weight of their head will force the neck down and out of alignment with the rest of their spine. Sleeping on your shoulder is not a good alternative either. It causes pressure and numbing sensations on your arms and shoulders muscles. And it does so unevenly as only one side is affected while sleeping. A thick, supportive pillow that is as thick as the distance between the neck and shoulder is best for side sleepers. Contour memory foam pillows that have a higher loft beneath the neck and a lower one beneath the head work well, as do contour pillows that help support a side sleeper’s neck. A pillow that is too thick, however will tilt the head and neck up and out of alignment. Oppositely, a pillow that is too soft or too thin will tilt the head and neck down. The correct pillow keeps the side sleeper’s neck and head straight and aligned with their spine. Side sleepers may also benefit from a thin pillow between the knees, that relieves strain and keeps the spine straight all the way down to the hips. Conclusion: Side sleepers should NOT sleep without a pillow. Click here and find the pillow that will perfectly suit your preferred sleeping position. Should Stomach Sleepers Sleep Without a Pillow? Stomach sleeping is the only one position that doesn’t require pillows. Sleeping on your stomach is generally considered the most unhealthy sleep position, even though it prevents sleep apnea and snoring. It is regarded as the the worst sleeping position because it forces one to twist their head and neck out of alignment with their spine. 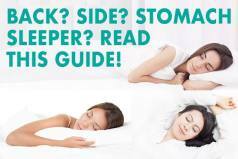 Sleep experts recommend stomach sleepers to sleep with a very thin pillow or without it. Some people just feel very uncomfortable sleeping with nothing but a mattress under their heads, so using a very thin pillow will work. However, if you can sleep without one then go for it! It keeps your head level with the mattress and the rest of your spine. Without a pillow or with a very thin one, those who sleep on their stomach can also benefit from a thin pillow placed beneath the hips which helps to even out the spine. Conclusion: Stomach sleepers SHOULD sleep without a pillow. The most important thing is that you find your perfect pillow/ mattress combination that allows you to sleep comfortably night after night. Sleeping with or without a pillow, ultimately is a personal preference dependent on your sleep needs. Back sleepers should sleep with a thinner pillow. But if they are sleeping on a very firm mattress, sleeping without one may be more comfortable. Side sleepers should always sleep with a pillow and it needs to be a thick pillow. Stomach sleepers should sleep with no pillow at all, as long as it is comfortable.